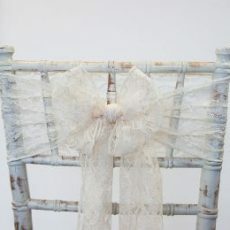 We stock lace sashes in white or ivory. These are great used alone and look fabulous combined with a taffeta sash. To up grade to lace and taffeta please add an extra £1.